Nigel Owens will add another big rugby occasion to his world record breaking CV when he makes his debut in the men’s Varsity Match at Twickenham on Thursday (kick-off 3.00pm). 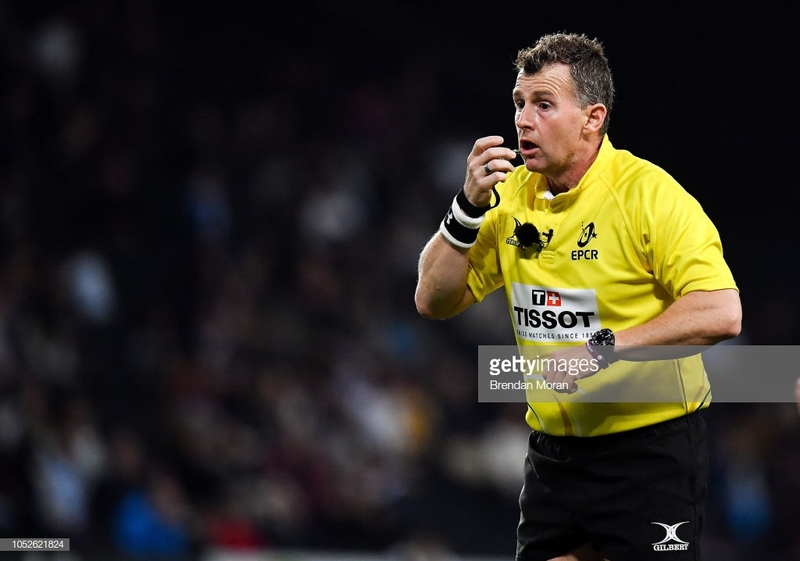 The 47-year-old Welshman will be back at the venue where he refereed the 2015 World Cup final between New Zealand and Australia before heading to Paris on Sunday to take charge of the Heineken Champions Cup clash between Racing 92 and Leicester Tigers. “So many of the greatest referees have officiated at the Varsity Match at Twickenham. It is one of the iconic fixtures in the game and I’ve seen the likes of Clive Norling and Derek Bevan in the middle before,” said Owens. “I had hoped to be able to referee the game a few years ago, but European matches got in the way. I initially had a weekend off for Round 3 of the Heineken Champions Cup, but I’ve been called in to do the Racing 92 home game against Leicester in Paris on Sunday. You have to go back 115 years to find the first Welshman to referee the Varsity Match. That was Tom Williams way back in 1903 and since then the best officials produced by the Principality have been in huge demand. Between 1922-29, Tommy Vile and Albert Freethy controlled eight successive Varsity contests and Freethy took charge of six in all. That was a record beaten by Gwynne Walters in the Fifties and Sixties with seven appearances, while Clive Norling did six in the Seventies and Eighties. “It was also a huge honour for referees to be invited by the two clubs to be part of the Varsity Match and when I looked at what all my Welsh predecessors had done I didn’t want to miss out on this game in my career,” Owens added. Owens will become the second World Cup final referee to grace the fixture as he follows in the footsteps of Derek Bevan. Bevan was in the middle for the 1991 World Cup final at Twickenham, and two years later refereed the Varsity Match. “It is fantastic to have the endorsement of the world’s leading referee for our fixture at Twickenham. It is nice to see that the current crop of professional referees still see value in the traditions of the game and still want to be involved in games like the Varsity Match,” said David Searle, CEO of the Varsity Match Company. Owens will be supported by Clare Daniels and Greg Garner as his assistant referees for what will be the 137th meeting of the two universities since they first locked horns in 1872. Tickets for the 30th Anniversary of Women’s Varsity Match and 137th Men’s Varsity Match at Twickenham on Thursday, 6 December, are still available from £25 adults, £15 students and £10 juniors at www.thevarsitymatch.com. There were no referees until 1881. All referees are from the RFU unless stated.